Grandma and Grandpa came over for dinner the other night. 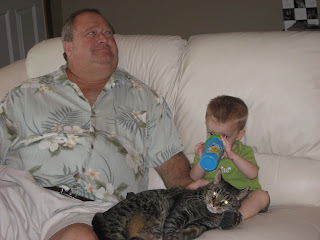 Papa and I hung out with Bailey (the worthless cat as Daddy likes to call her). I love it when they come over! Papas are the greatest! Well, next to Mommys of course!